Discussion in 'Spiritual and Mental Well Being' started by BurtMeister3000, Sep 15, 2016. 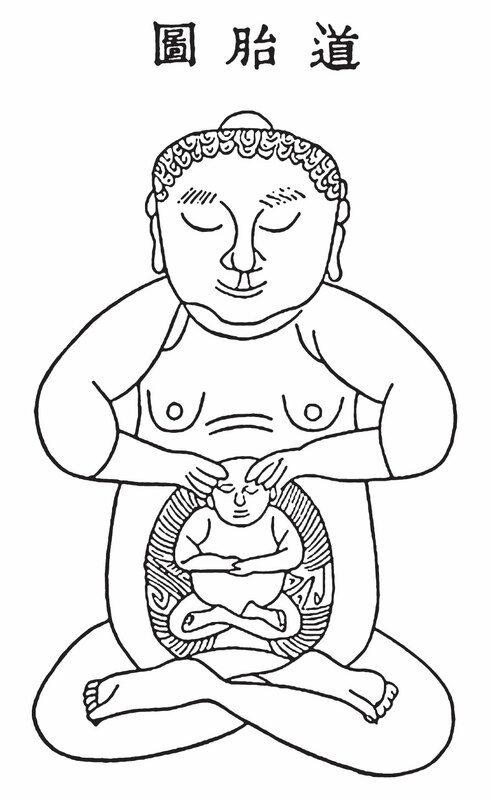 "cultivating the embryo: Daoists often refer to cultivation of the Dantian as a method of creating a divine embryo in the body. Some people believe that when this embryo is mature, it can leave the body and travel the universe. This picture is taken from Wang Changyong’s book “secret of the golden flower,” a book on the cultivation techniques of the Northern school of the Complete Reality school of Daoism." Meditation in general is nice. I like the embryo idea, the thought of it traveling the universe in itself is enticing. Yep, the idea is to pay attention to the lower abdomen constantly as if it were an embryo. There is no forcing it, just gently giving it air via the breath and care via the attention and eventually it will grow into a spiritually balanced man. Would it be possible to interact with the resulting spiritual being? Or once it departs its done? I think its metaphorical, it is the you inside that grows beyond your physical body I feel, not some external entity.